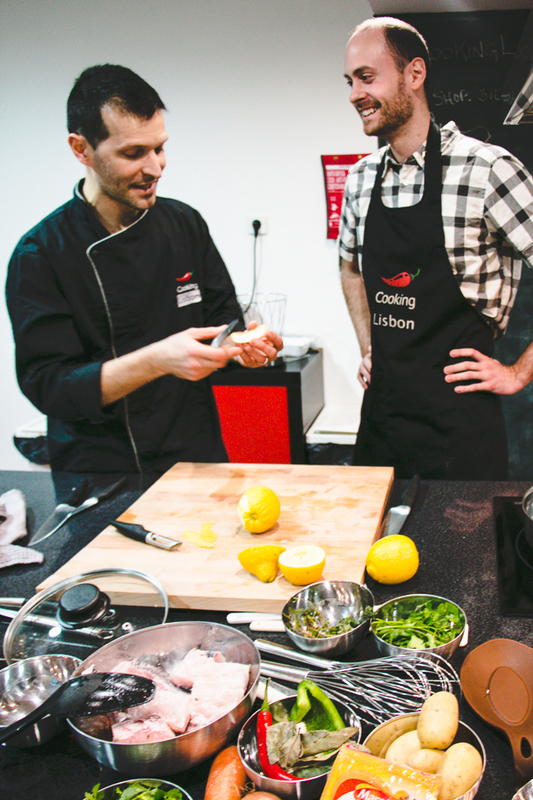 While in Lisbon a few weeks ago Dan and I had the opportunity to join Cooking Lisbon for an evening Portuguese cooking class. 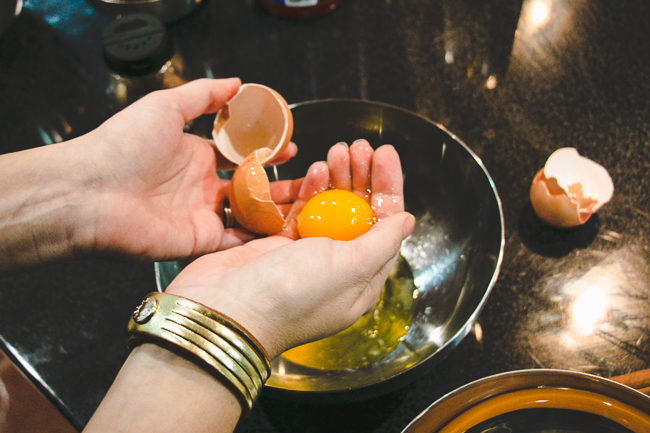 Initially I was reluctant, we’d done cooking classes before that were a floop (not shared here on the blog because rehashing boredom and hunger isn’t fun for anyone!). 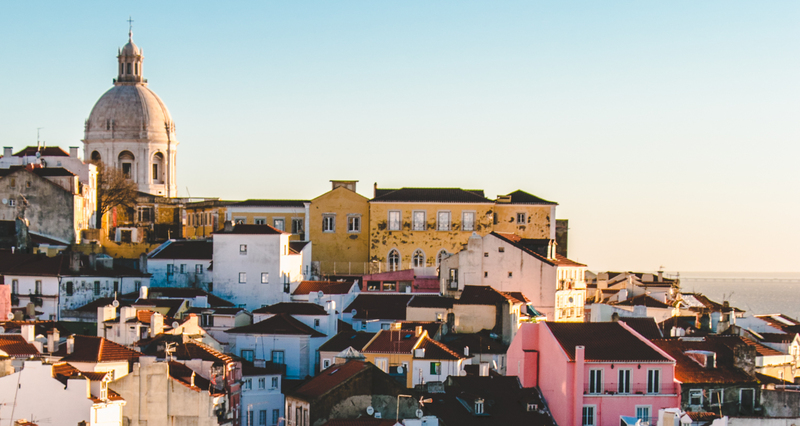 Feeling optimistic about all-things-Lisbon though, we gave it a shot and were absolutely delighted with the hands-on evening we shared with Pedro and Filipe. 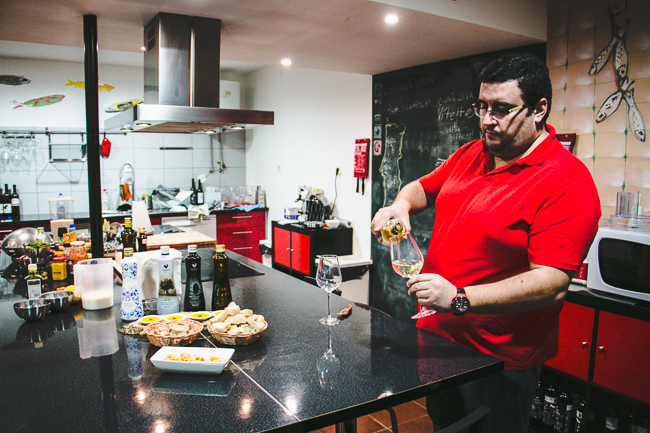 Upon arrival we were immediately poured big glasses of Portuguese wine to sip on as we prepared our four course meal. 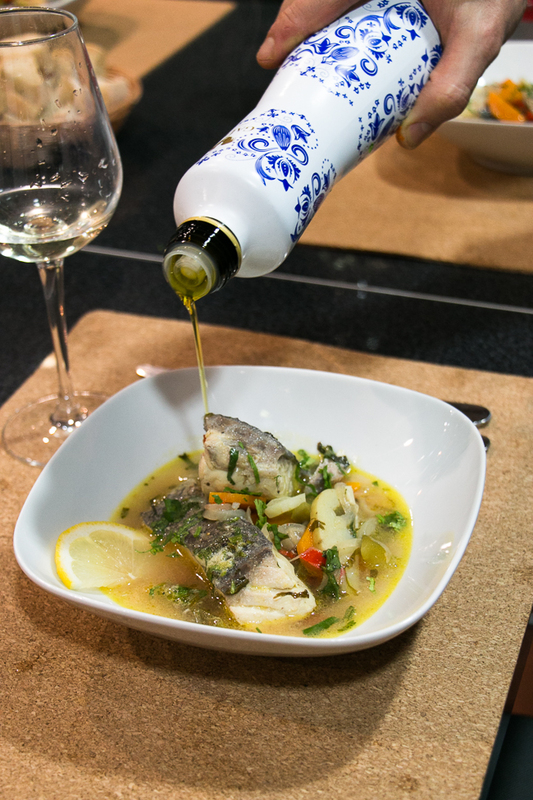 Our chef, Pedro, charismatically shared our game-plan for the evening including an appetizer of fried green beans, two entrees – a codfish stew and chicken in a pot, then we’d wrap it up with a creamy Portuguese cinnamon-based dessert called Sericaia. 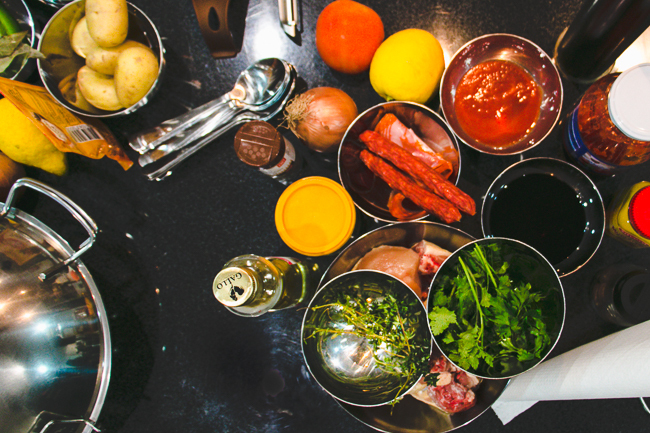 Before us lay all the ingredients for the evening, fresh from the market and nicely portioned out into ramekins. Dan wore a giant grin, feeling as though he was suddenly on the set of Top Chef. We were given aprons and provided instruction on the proper methods for handling each ingredient. The evening flowed along swimmingly, extremely well-organized, we each were tasked with various steps of the prep work needed. As the night progressed, Pedro shared life-changing kitchen tips and guidance on everything from knife cutting techniques to how to properly separate egg whites. True game-changers, folks! The recipes chosen were traditional Portuguese dishes, not overly complicated but exceptionally tasty. Just as memorable though, the roundtable chatter around their cool industrial kitchen made the evening a ton of fun. We all exchanged stories from our travels and Pedro and Filipe shared insight about life in Portugal and the influences of the Portuguese gastronomy. Before we knew it, meal prep had zipped by and the room was bursting with tasty smells of garlic, cilantro and basil. We kicked off the meal with a crunchy appetizer of fried green beans. 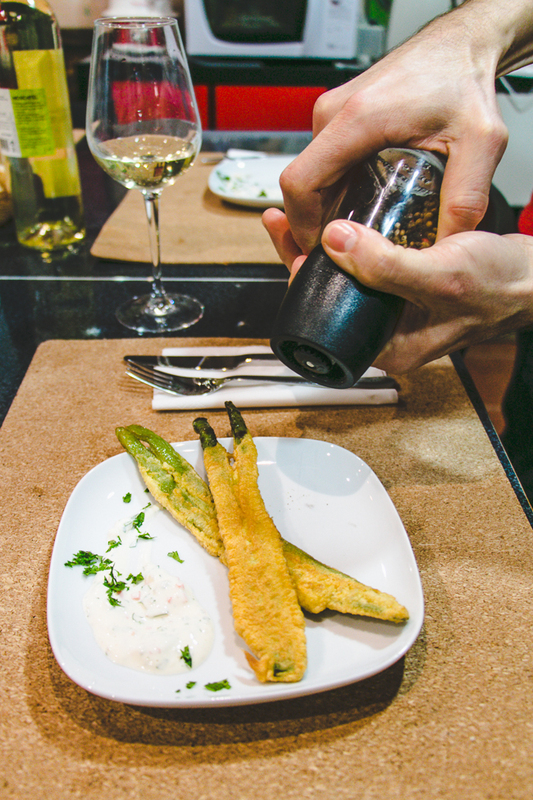 With tempura originating in Portugal, these breaded and fried veggies were nothing short of addictive. 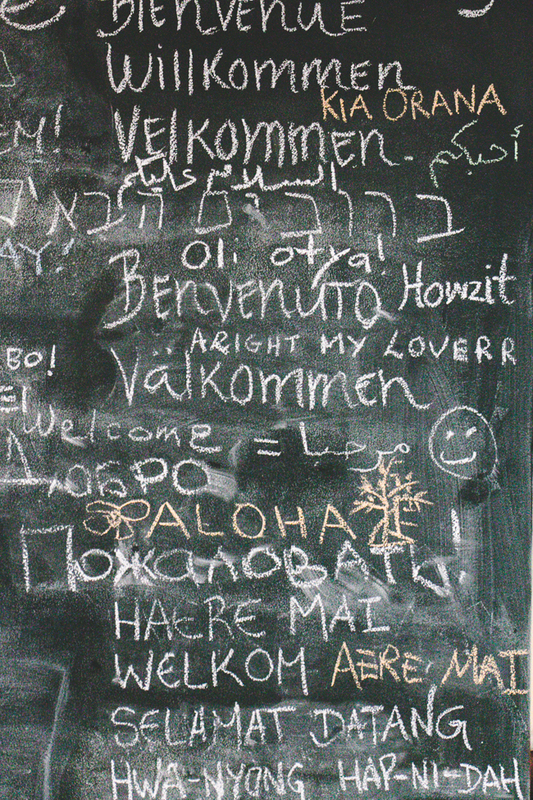 Moving on, we nearly dove headfirst into our bowls of codfish stew. Surprisingly, cod is immensely popular in Portugal despite that all of it imported from the North Sea. This easy, one-pot meal is bursting with flavor while the cod nearly melts in your mouth. For our second (!) entree, it was hearty Chicken In A Pot. The chicken fell off the bone as we scooped it onto our forks. Dan and I cleaned our plates and quickly inquired for seconds. Dinner table chatter grew louder as more wine was poured and we allowed our tummies to digest the delicious meal. Deep in conversation about Pedro’s prior career as a marine biologist (!) and Filipe’s experiences sharing Portugal with visitors from around the world, we nearly forgot about dessert! Pedro grabbed our sericia from the fridge, where we had put it to chill, and we marveled as he plated the desert quickly and beautifully for each of us. By 11:30PM we were positively stuffed and bore giant smiles as we clinked glasses with the guys. All and all, our time with Filipe and Pedro was so special not just for the awesome cooking tips and amazing meal but for the fantastic conversation we all shared. 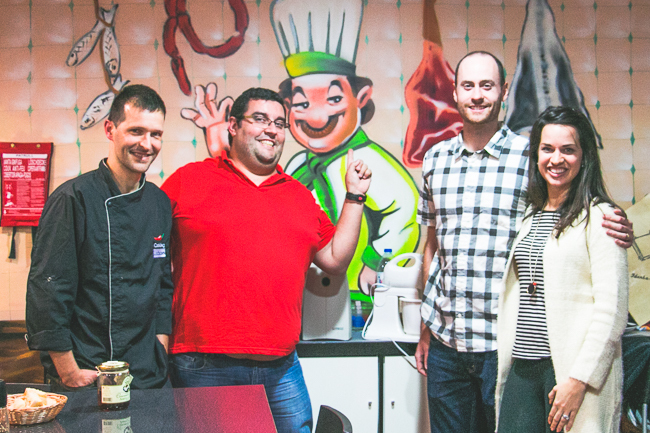 We felt like we were cooking with great friends and got a true taste of the Portuguese hospitality. 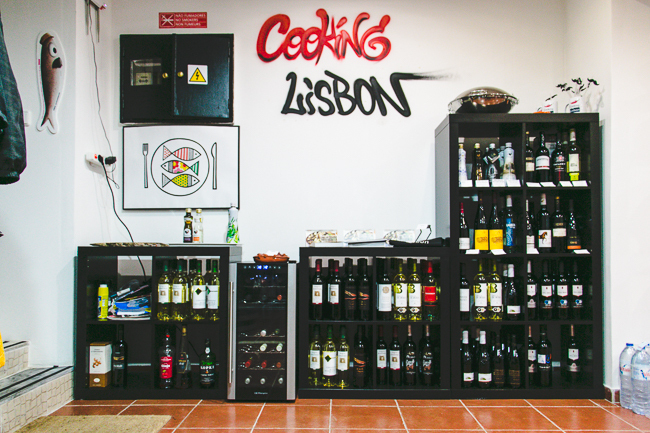 If you’re heading to Lisbon, definitely pencil in time with Cooking Lisbon!